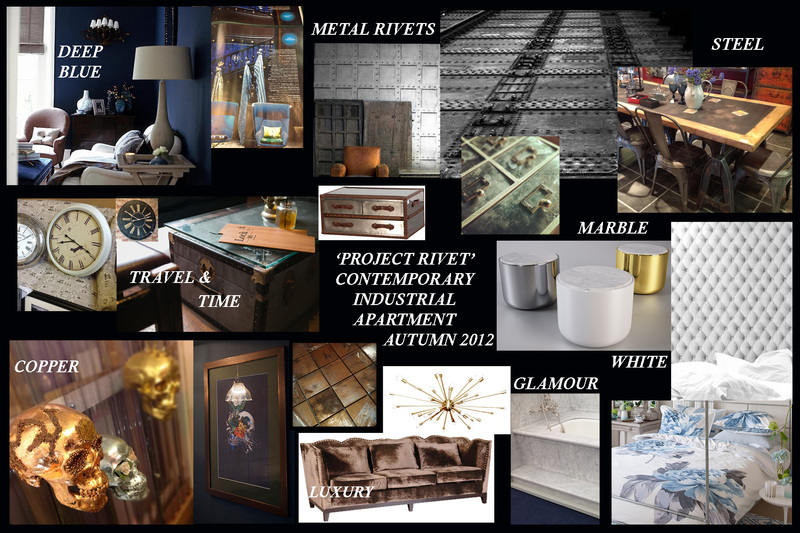 Thought I’d post the mood / idea board I did for Project Rivet, using images sourced online and drawn together in Photoshop. Doing things this way helps me to pull together ideas and create a one sheet design guide, which usually mixes up inspiration and also must-have products. Not all designers do it this way but it works for me! We try to keep our finger on the pulse of new styles for interiors for wall and floor tiles – the industrial look has always been one that lends itself well to tiles, either Victorian bathrooms, industrial kitchen or hardwearing floors.